When a “Comical Ali” meme begins circulating about your organisation then it is a clear signal that you have major reputation issues. "Comical Ali" - for those of you unaware - was Saddam Hussein’s information minister during the second Iraq war. He became infamous for his media appearances claiming all was well while explosions and destruction could be seen behind him during his live media briefings. This week’s Comical Ali moment was when Cricket Australia announced that their head of integrity would be flying to South Africa in the wake of ball-tampering (for the uninitiated: cheating) that had been undertaken by their players. If an organisation requires a head of integrity then all cannot be well. To me it points to a culture that is rotten and in need of constant doses of sweet smelling pot pouri to keep the stench away. The events this week suggest this to be correct. So what happened? In short, an Australian cricketer, Cameron Bancroft, was caught rubbing sandpaper on the cricket ball to try and alter its condition for the benefit of his team. This is significant. In the right conditions this could make the difference between winning or losing. It then became known that Bancroft, a junior member of the team, was undertaking the ball-tampering after discussions within the team’s “leadership group”. Some have claimed that the way Bancroft and his captain Steve Smith faced the cameras and immediately admitted to what happened was brave but did they have much choice? The TV pictures showed what had happened. It didn’t need the Australian captain to confirm this. 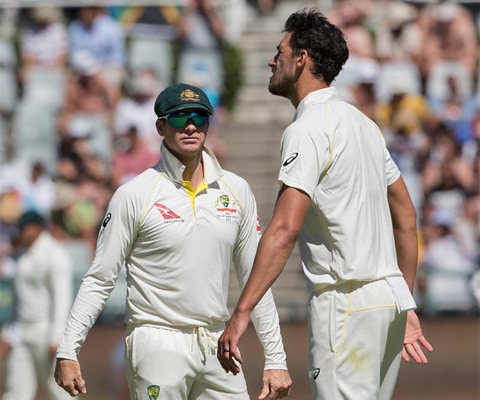 Smith's carefully chosen words about the “leadership group” knowing about the ball-tampering were perhaps an attempt to draw a line and prevent the broader scrutiny of how the Australia cricket team go about their work. The immediate reaction from Cricket Australia - the governing body of the sport in Australia - was weak with Smith, alongside his vice-captain David Warner, being allowed to step-down from their roles for the rest of the Test Match - which only lasted one further day. Cricket Australia’s response was out of step with public opinion at home and abroad leaving them wondering how to repair their shattered reputation. When Australia’s prime minister referred to the ball-tampering as being “cheating beyond belief” it illustrated just how badly Cricket Australia had dealt with this scandal. Cricket Australia should have removed captain Steve Smith immediately for his leadership in pre-meditated cheating, the same goes for the vice-captain. A review of what happened should have been announced in hours with the aim of communicating that cheating, bullying and a culture that perpetuates this kind of behaviour is not acceptable. That none of this was undertaken makes Cricket Australia my Mis-Communicator of the Week.